Famous Tuvan-Austrian singer Sainkho spent this summer in her native country. She managed to relax at the “Cheder” spa, and also received a Honorary Letter for active participation in the social life of the spa. On August 20, she participated in the daily program of the famous rocker Albert Kuvezhin, on the radio “Golos Azii” (Voice of Asia). For the 70th Anniversary of the start of the second World War, TV channel Rossiya will show a program about one of little-known allies of the Soviet Union in this war – Tuvan National Republic (now Republic Tuva). For four days, a film team of the federat channel, headed by famous leader Sergei Brilev, worked in Tuva. 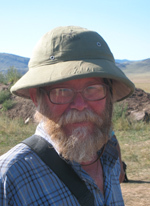 During this time, he worked with the materials of the Central State Archive of Tuva, interviewed the head of the republic, Sholban Kara-ool, examined noteworthy historical sites, and visited the sheepherding station of the front fighter Vera Bailak. 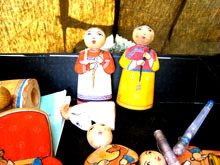 Right in the center of Kyzyl, in the square by the House of National Creative Arts, stands the choom of The Story-Teller. This is where the founder of the puppet theatre “Shyanam”, Viktor Kuular an architect by education, a puppeteer by vocation, runs his workshops. Their theme is puppet therapy. Finger-puppet theatre, in Viktor Kuular’s opinion, has a healing effect for both the performers and the spectators. On August 19, the presentation of the book of verse of the famous poet, historian and publicist Andzhey Ikonnikov-Galitskiy from Sankt-Peterburg, “The Road to Mongun-Taiga”, will take place at the National Museum of Tuva. The book was published by the Petersburg publishing house “Baltiiskie sezony” in 2009. On June 1, the initial presentation took place in Sankt-Peterburg, at the Vladimir Nabokov Museum. Just before the Archeologist’s Day, the leadership of Tuva, representatives of the Yenisei Industrial Company, organs of local administration, representatives of educational institutions, spent some time in the famous archeological complex of South Siberia, “Valley of Kings”, where a large number of kurgans from the Scytian times is concentrated, and where, according to plans, is the projected path of the Kuragino-Kyzyl railroad. Excavations of an entire chain of royal burials in the Valley of Kings (Pii-Khem district, Tuva), are being conducted by archeologists of Tuvan expedition under the leadership of Candidate of historical sciences Vladimir Semyonov. 1.5 kilometers from the settlement Arzhaan, the archeologists are finishing up the excavation of an elite kurgan, with preliminary dating of 6th century before our era. 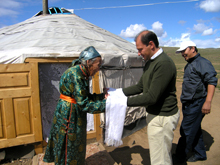 The drum that is traveling around the world will come to Khakassia from Tuva. The opening of the international event “Drum of the World” (World Drum”) will take place on August 9 in Abakan in the area of the S.P. Kadyshev Center of Culture and National Creativity. The British media again have been very excited about the way the Russian Premier Vladimir Putin spends his vacation, and they exhort the British to follow his example. As the correspondents of RIA Novosti report, the theme of Putin’s one-day Tuvan vacation never left the headlines of British newspapers, main pages of internet-sites, and news television channels over the past two days. 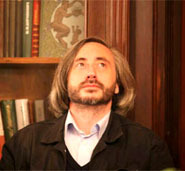 2010 will be a major jubileum for the creators of the legendary film, an “Oscar” laureate, “Dersu Uzala”. Vladimir Vasilyev, the Moscow colleague of the Japanese director, prepared a book “Emperor of Japanese Cinema” for Akira Kurosawa’s 100th anniversary of birth. 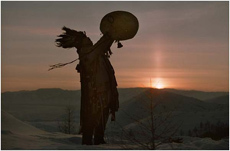 Among other things, the book tells of the legendary Tuvan actor who portrayed the title role in the Oscar winning film, Maksim Monguzhukovich Munzuk. 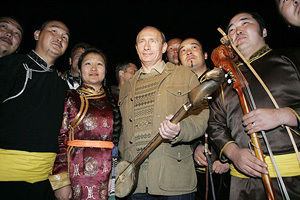 Kaigal-ool Khovalyg, famous throughout the world for unique throat singing, introduced the entire beauty of Tuvan khoomei to Vladimir Putin. Khoomei sounded in a camp on the shores of Khemchik river, in the light of a camp fire. 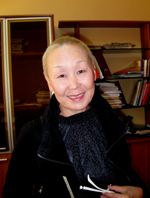 The legendary throat singer, on a par with Vladimir Vysotski in the world anthology of musical arts, was accompanied by two famous ensembles – “Huun-Huur-Tu” and “Chirgilchin”, whose international tour schedules are booked for years in advance.